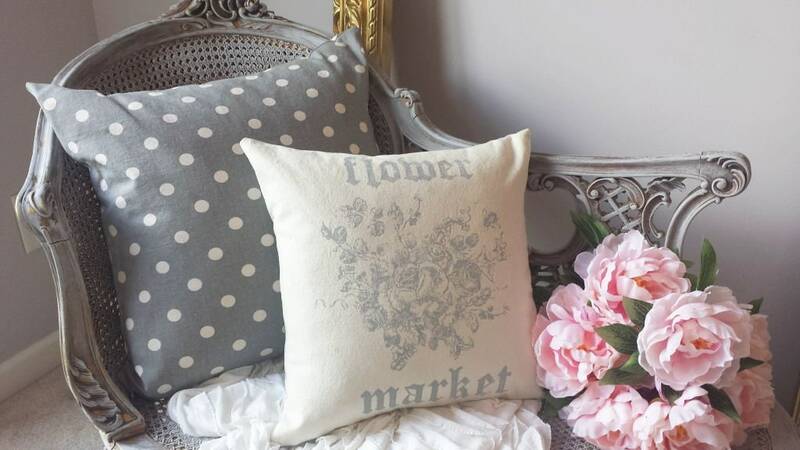 Tres chic French style pillow cover with FLOWER MARKET and roses toile print. 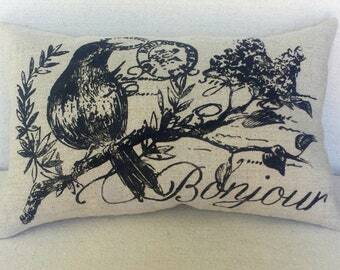 Hand printed and sewn. 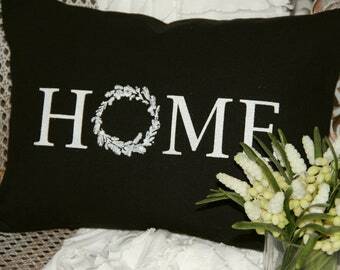 Design with old style lettering and French toile de jouy rose bouquet. 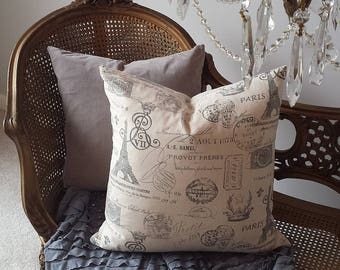 Design is gray printed on prewashed cream cotton duck cloth. For the backing, I have used gray and white buffalo check cotton duck cloth. Finished with an invisible zipper closure and professionally serged seams. Easy care machine wash, inside out in cold water and lay flat to dry. 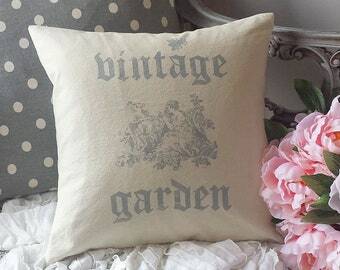 Perfect compliment for your cottage, farmhouse or shabby chic style decor. 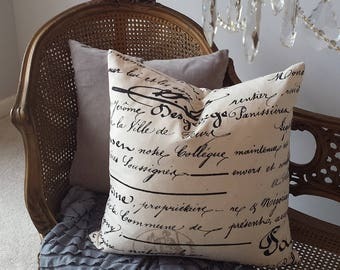 **See my other listings for coordinating vintage decor pillows! 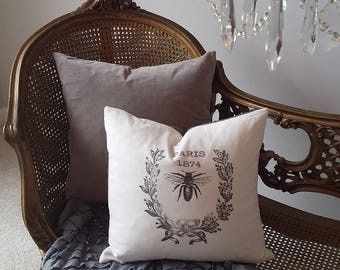 The pillow cover is great. 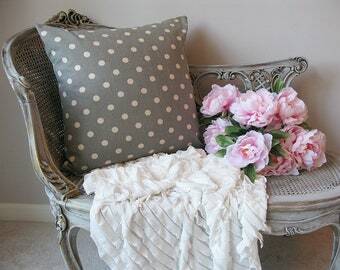 Looks wonderful on my shabby white sofa. Many thanks.